Meet and greet at your preferred location within Nairobi by our Representatives in the morning at 8.00am and receive a briefing about the tour. After the briefing, depart to the Mara Reserve, driving through beautifully farmed agricultural lands and the Great Rift Valley. You will also stop shortly at the escarpments view point and other places of interest taking photographs as you are driven leisurely to the Maasai Mara. You will arrive at the Mara in the evening having taken lunch by the shores of Lake Naivasha en - route. Along the route colorfully decorated Maasai tribesmen. You may occasionally see them criss crossing the park as they go about their daily activities completely unbothered by the wild animals which roam in the bushes. Spend these wonderful days photographing and viewing wildlife within the extensive Mara Reserve with morning and afternoon game drives and some days with full day game drives. Optional activities available include a visit to the Maasai villages and a hot air balloon ride above the spectacular Mara giving you the option to take aerial photographs. Full day taking photographs around this exclusive Great Rift Valley Lake. Morning at leisure and in the afternoon you will be transferred to Nairobi which will be reached in the evening. Extras at the lodge i.e. beverages and drinks, telephone, laundry etc. 7 Days Maasai Mara Photography Tour, Lake Naivasha and Hell's Gate Safari. Game viewing drives, photography, birding, walking safari, hiking, boat rides, cycling, horseback riding, e.t.c. Lake Naivasha: This is the highest of all the Rift Valley Lakes at 1880 m above sea level. Being a fresh water lake, it has the greatest number of residents living on its shore. It has become the center of the booming horticultural export business which is one of Kenya's leading foreign exchange earner. This area is a birdwatcher's paradise with over 450 species of recorded birds in the area, which are attracted by the yellow-barked acacia trees and blue water lilies. A small islet on the lake is home to a number of wildlife. Visitors can enjoy a boat ride safari as they view wildlife and birds from the tranquil lake. A private ranch (Kongoni Game Sanctuary) is located in the area which is a home to lions, leopards, cheetah and some trans located Gravy's zebras. Meet and greet at your preferred location within Nairobi by our Representatives in the morning at 8.00am and receive a briefing about the tour. After the briefing, depart to the Mara Reserve, driving through beautifully farmed agricultural lands and the Great Rift Valley. You will also stop shortly at the escarpments view point and other places of interest taking photographs as you are driven leisurely to the Maasai Mara. You will arrive at the Mara in the evening having taken lunch by the shores of Lake Naivasha en - route. Along the route you will see the colorfully decorated Maasai tribesmen. You may occasionally see them crisis crossing the park as they go about their daily activities completely unbothered by the wild animals which roam in the bushes. Spend 3 days within the Mara Reserve, home to the big five and numerous plains game. You will also visit the Mara River Ecosystem which is teeming with bird-life, hippo and crocodile, in the heart of Kenya's Maasai Mara National Reserve. It offers the best game and bird-viewing not only in Kenya, but anywhere in Africa. The views across the rolling golden grasslands studded with acacia trees, rivers and forests are dazzling, the sense of space overwhelming. You will explore the park and the vicinity, gently blending into the surrounding wilderness which remains in its virgin condition, while the landscaped gardens filled with indigenous trees at the back which draw a great variety of birds and butterflies. After breakfast exit the park and depart to Lake Naivasha. Upon arrival check in to your lodgings and have lunch before spending the afternoon at leisure resting from the long drive or either taking boat rides, walking safari, and horse riding, cycling or swimming in the pool. After breakfast, you will check out of the lodge with packed lunch and be driven to Hell's Gate National Park, which is the only park in Kenya where cycling and walking, is allowed inside the park. Hells gate is a very scenic park and if most visited by trekkers, picnickers and nature lovers. You will enjoy game drives in the safari vehicle or on bikes or horseback, which are readily available at the entrance of the park at an extra cost. You will have picnic lunch at one of the picnic spots located in the park. In the afternoon you will be transferred to Nairobi which will be reached in the evening. Trip Highlights: This is an exciting 3 days flying safari which takes you to explore the famous Mara to spot the big five, migration of millions of wildebeest, numerous bird life and other plains game such as giraffe, warthog, impala, and others. The flight from Nairobi takes you over the Great Rift where you will have a spectacular view of the only earth feature that can be seen while in space. The four days are spent exploring this exotic wilderness paradise that is scene of the Great Migration of the Wildebeest - the most spectacular occurrence in the animal kingdom. Nairobi National Park is a unique wildlife sanctuary which is just a few kilometers from Nairobi's bustling city center, with Nairobi boasting of having the only wildlife sanctuary to be found in the city precincts in the world. Despite its proximity over 50 species of mammals can be found there, including four of the Big Five with elephant species not being represented. The tour also includes a visit to the animal orphanage at the park gate. The tour returns to the city center by sundown. Trip Highlights:This is an exciting road safari that takes you to explore the pristine wilderness of the Maasai Mara. The trip will start at Nairobi and end in Nairobi and will offer you an opportunity to spot plenty of wildlife varying from the big five, numerous bird life, plains game and beautiful scenery. If you wish, you may combine the adventure with a cultural visit to the nearby Maasai villages. Our professional English-speaking driver/guide will take you for game drives in a private safari minivan while at the park. You will spend the nights on a full board basis in the Sopa Lodge. This is an exciting 3 days basic camping safari into one of the best wildlife sanctuaries in Africa; the famous Maasai Mara Game Reserve. This is the 7th new wonder of the world and 4th most preferred tourist destination. The trip will start in Nairobi where you will be picked from and transferred to Maasai Mara by road. You will be able to see plenty of wildlife varying from the big five amongst a host of other different animal species. If you visit between July and October, you will be able to witness the annual gnu migration from the Great Serengeti in Tanzania. While on this safari, you will travel with a professional English-speaking tour guide/driver and chef in a private safari minivan and stay in a camp. 4 Days and 3 Nights -Annual Wildebeest Migration and Flamingo Watching Safari. Trip Highlights:This is an exciting 4 days road safari that will give you the best of Maasai Mara National Reserve, the jewel of Kenya's wildlife. Afterwards, you will visit Lake Nakuru National park, which is home to thousands of flamingos. The trip will start immediately upon your arrival at Jomo Kenyatta International Airport passing through the Great Rift Valley into the famous Maasai Mara National Reserve. Afterwards you will depart the Mara Reserve and head into Lake Nakuru National Park for the flamingo watching experience. During your safari, you will have a chance to spot plenty of wildlife varying from the big five amongst a host of other different animal species. You will travel with your guide/driver in a 4x4 safari land cruiser and spend the nights in lodges. In the morning at 8.00am you will be met by the tour guide/driver at the Jomo Kenyatta International Airport, or your residence within Nairobi and be warmly received and briefed about your safari. You will then departure to the famous Maasai Mara Game Reserve, which is commonly known for the 'big five'. It takes about five hours to get there via Narok town. You will arrive in time for check in and lunch at your lodge before departing for afternoon game viewing. The Maasai Mara Game Reserve is Kenya's finest wildlife reserve. Everything about this reserve is outstanding. Maasai Mara is one of the best plains' Game Reserve which is a haven for viewing a congregation of all sorts of animals in a five-mile radius: A pride of lions can be spotted ready to make a run for a gazelle, a cheetah and its cub taking a nap on a rock, a pair of ostriches walking the open stretches of the savannah or a gazelle giving birth. Herds of elephants wallowing at a water pool or a herd of buffaloes feeding, crocodiles down hunting the migrating wildebeest or the migrating gazelles. Other live feeding expeditions may include a herd of hyenas fighting for a hunted meal, the vulture tearing the carcasses and the giraffes galloping as they feed on top leaves of acacia trees. After breakfast you will enjoy game viewing for the rest of the day. You will have an opportunity to spot the big five as well as view the annual wildebeest migration which takes place every year between July and October. We shall also organize a cultural visit to the Maasai villages for you to get a chance to interact with the hospitable Maasai tribesmen. You will have a picnic lunch then afterwards continue with game viewing till evening when you will be transferred back to your lodge for dinner and overnight. In November 2006 the Maasai Mara was named as the New 7th wonder of the world because of what experts termed as "the uniqueness of the area and the preservation it provides to so many species living in harmony". It is understandable because this annual migration is the greatest wildlife spectacle on earth. After breakfast check out of your lodge in the Mara Reserve and depart to Lake Nakuru National Park with final game drive en route. Upon arrival, you will check in to your lodge before departing for an afternoon game drive combined with bird watching, with a picnic lunch en route. There is a beautiful picnic site and spectacular view point at baboon cliff within the park. In the evening you will be transferred back to your lodge for overnight stay. Dubbed 'the greatest bird spectacle on earth due to the millions of fuchsia-pink flamingo that flock to feed on the teeming algae of its alkaline waters, Lake Nakuru is also an ornithologist's paradise and also a sanctuary for both black and white rhino. Its pink-frosted shores and sky-mirrored waters also yield some of the most evocatively beautiful photo images in Africa. The park offers an incredible 450 different species of water, fish-eating, terrestrial and migratory birds including the pelican, fish eagle, secretary bird, heron, egret, hammerkop and grebe. Established as Kenya's first rhino sanctuary, the park now hosts one of the largest black rhino concentrations in the country while substantial numbers of white rhino have also been introduced. You will have a fantastic view of the Lake while at the Baboon cliff, lion Hill and out of Africa Hill. Enjoy an early morning pre-breakfast game viewing drive before returning to your lodge for breakfast. After breakfast you will check out of your lodge and depart to Nairobi City arriving in the afternoon. Upon arrival you will be dropped off at the Jomo Kenyatta International Airport for your international departure flight to your next destination. 2 Days &1 Night -Maasai Mara Wildebeest Migration Safari. 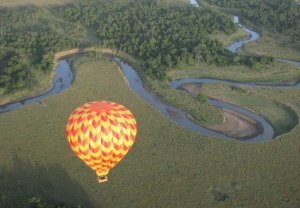 Activities: Game viewing drives, photography, visit to Maasai villages for culture, hot air balloon safari e.t.c. Accommodation: 1 nights in a self contained Maasai Manyatta inclusive of all meals. Meet and greet at your residence within Nairobi by "Victoria Safaris Representatives". Receive a briefing about your safari to get a rough idea about the accommodation guide and the safari plan. After the briefing, depart to the Mara, arriving after 5 hours drive. Upon arrival be transferred to the Manyatta for check in before having lunch. After lunch, depart for afternoon game drives within the park, which is home to the big five among other plains game. After breakfast, you will spend the morning viewing the wildlife migration within the extensive Mara Reserve with packed picnic lunch en route. After lunch, you will depart from the park and be driven back to Nairobi with arriving in the evening. On arrival you will be transferred back to your preferred destination within the city, or to Jomo Kenyatta International Airport marking the end of your trip. Extras at the Manyatta i.e. beverages and drinks, telephone, laundry etc. 2 Days & 1 Night- Maasai Mara Annual Migration Tented Camp Safari. Trip highlights:This is an exciting 2 days road safari into the famous Maasai Mara, the jewel of Kenya's wildlife and the greatest spot for wildebeest migration. The trip will start immediately upon your arrival at Jomo Kenyatta International Airport into the famous Maasai Mara Game Reserve through the Great Rift Valley. You are likely to see plenty of wildlife varying from Kenya's big five; the lion, elephant, rhino, buffalo, and the leopard among a host of other different animal species. You will travel in a shared safari minivan and stay in tented camps.